Last month we inducted two new members. This month we are inducting four. Great job! Please attend our club assembly to give a warm welcome and learn about our newest members: Carol Pomares, Tina Ferguson, Grant Cody and Jake Flesher. PDG Barry Kalar will be doing the inductions. We will also be awarding Student of the Month. 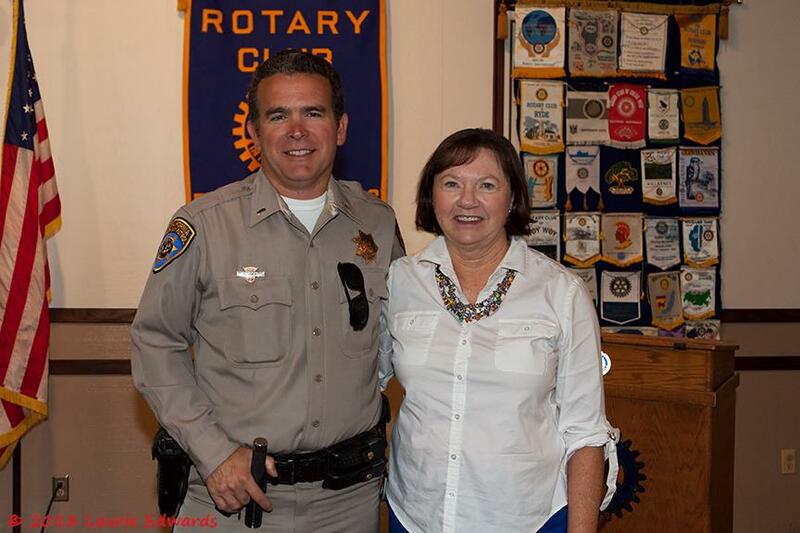 Pictured below is Carol Pomares with last week's featured speaker Lt. Craig Root of the Placerville CHP. Carol was his high school Spanish teacher at ORHS!